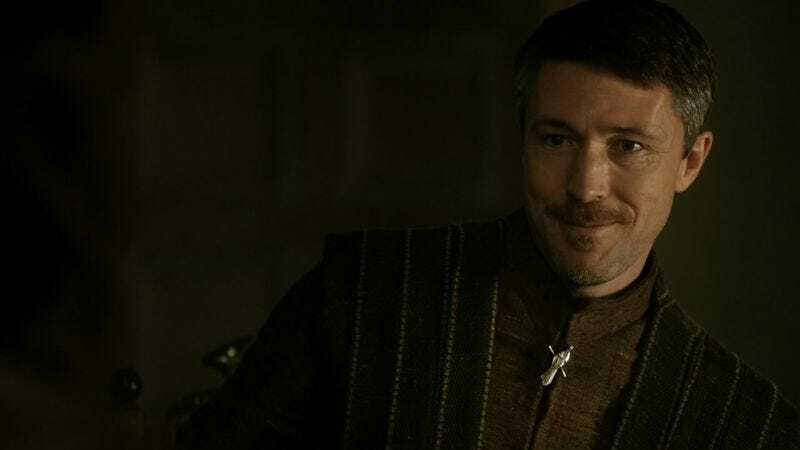 Continuing his campaign to be labeled the least trustworthy man in all of fiction, Game Of Thrones and The Wire co-star Aidan Gillen has signed on to play an antagonist in The Maze Runner: Scorch Trials. Gillen, who plays the vile-but-charming Littlefinger on Game Of Thrones and is probably a very nice man in real life, will be playing Janson in the planned sequel to this summer’s dystopian young-adult success. Also known as Rat-Face (ouch), Gillen’s character is the one who forces protagonist Thomas and his fellow maze-running teens to endure the titular trials, which we’re going to assume take place somewhere hot. From what we’ve been able to piece together from all the “grievers,” “swipes,” “cranks,” and other incomprehensible slang words on The Maze Runner wiki, Janson appears in the series’ third book as well. Presuming Scorch Trials matches its predecessor’s box office success, we’ll probably see Gillen there too. Hopefully the paychecks from these movies will take some of the sting out of the fact that people keep casting him as two-faced rat bastards.